Are Experiential Therapy Techniques Helpful? What Is Animal-Assisted Therapy & How Does It Work? Substance abuse recovery involves much more than clearing drugs or alcohol from the body. Overcoming the disease of addiction requires an understanding of the origins of substance abuse, the motivating factors for recovery, and the reasons for resistance to healing. Art therapy serves as a vehicle for the psychological component of recovery by providing an emotional outlet and a means of self-expression. Feelings or experiences that are too painful or shameful to articulate can be expressed through ink, paint, clay, or other media. When combined with other recovery services, such as detox, individual therapy, support groups, and family counseling, art therapy can be a powerful way to promote the healing process. Art therapy is a form of experiential therapy, an approach to recovery that addresses emotional and spiritual needs through creative or physical activity. It is not necessary to have a background in the arts or artistic talent to participate; individuals only need to be open to the experience and to engage actively to benefit from these sessions. Many clients find that art therapy is a relaxing and enjoyable way to address some of the more complex aspects of rehab. Creative activity provides a way to process some of the stressful emotions and anxieties that can emerge during treatment. 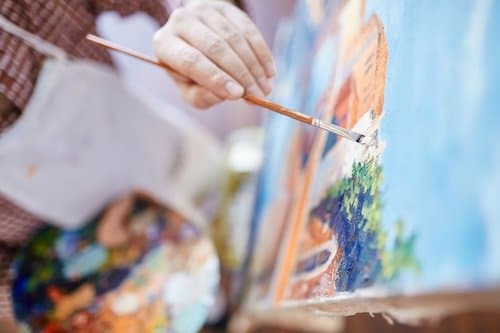 After rehab, activities like painting or drawing, can be used throughout the individual’s life as a way to express feelings, explore creativity, and reduce stress. One of the primary goals of art therapy is to help the client return to healthy functioning, whether that be on a social, emotional, or cognitive level. It can be particularly useful in the treatment of individuals who have experienced personal trauma, such as childhood abuse, sexual assault, violence, or a natural disaster. Memories and experiences that are too powerful to confront directly can be explored through the vehicle of visual media, allowing the release of tension and fear in a safe environment. Creative activity gives the individual in recovery a sense of control that may be lacking in life. In this sense, art can become a coping strategy for dealing with the challenges of recovery. On a social level, art therapy sessions can serve as a form of group therapy, creating bonds among peers. As clients work together on guided projects, they can learn new methods of coping, share their responses to therapy, and practice their collaborative skills. On a more general level, art therapy can act as an introduction to the pleasures of creative activity. Art therapy is practiced in a wide range of settings, from community mental health centers to inpatient psychiatric units, medical facilities, schools, and residential recovery centers. 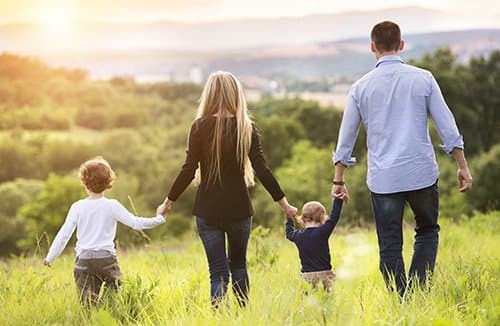 This versatile treatment modality can be applied in almost any therapeutic context, from individual therapy to group sessions and family or marriage counseling. 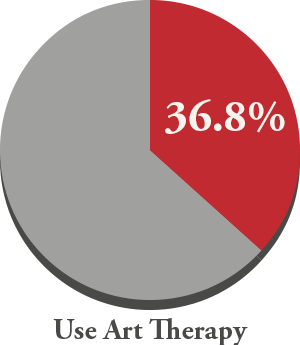 A study of art therapy programs in substance abuse treatment published in the Journal of Addictions Nursingfound that 36.8 percent of programs in the study sample offered art therapy as part of a comprehensive rehab program. 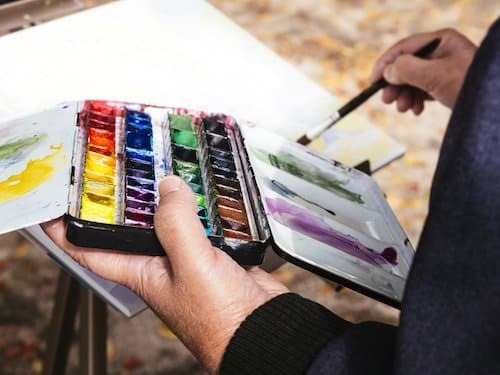 This study also found that art therapy was particularly successful when combined with therapies that focus on motivating the client and encouraging active participation. One such modality is Motivational Enhancement Therapy (MET), an approach that brings the therapist and client together in a collaborative relationship to stop substance abuse. Art Therapy: Journal of the American Art Therapy Association notes that art therapy can be very effective at breaking down resistance to treatment and overcoming ambivalence about recovery in rehab clients. Many individuals who enter recover programs are living with the residual effects of traumatic experiences, from past abuse to recent violence or loss. For the survivors of trauma, substance abuse can be used as a dysfunctional coping mechanism to manage unbearable feelings of grief, rage, or guilt. According to Psychology Today, art therapy has been used successfully as a healing intervention for children who have survived the trauma of war. The act of creating images and objects with paint, clay, chalk, or crayons is itself a therapeutic process for these children, as well as a way to depict the unspeakable acts that they have seen. By the same token, adults who have lived through domestic violence, natural disasters, violent crimes, or acts of terrorism can use art to express their responses to these incidents in a safe, supportive context. In veterans and other individuals who have used drugs or alcohol to cope with trauma, art can bring about an understanding of the nature of addiction as a disease. It can also be used to reinforce the individual’s commitment to recovery, to promote self-reflection, and to provide an experience of spirituality, notes AATA.The benefits of art therapy are available to individuals from all socioeconomic backgrounds, regardless of their financial resources. Artists for Trauma, a nonprofit organization, uses the creative arts as a tool to help military and civilian survivors overcome the effects of traumatic events and live healthy, fulfilling lives. This organization matches professional artists in the community with individuals in need of trauma therapy. These artists work on a volunteer basis to provide and facilitate free, interactive programs that help to facilitate the recovery process. Programs are offered in hospitals, military facilities, community centers, and other locations. How Does Art Therapy Support Substance Abuse Treatment? Art therapy is a component of a comprehensive treatment program that includes individual therapy, group therapy, family counseling, 12-Step meetings, and other core services. Art therapy complements these services by providing a break from the direct, intensive work of talk therapy and allowing the subconscious to express itself creatively. Art therapy can be a powerful complement to a 12-Step program. 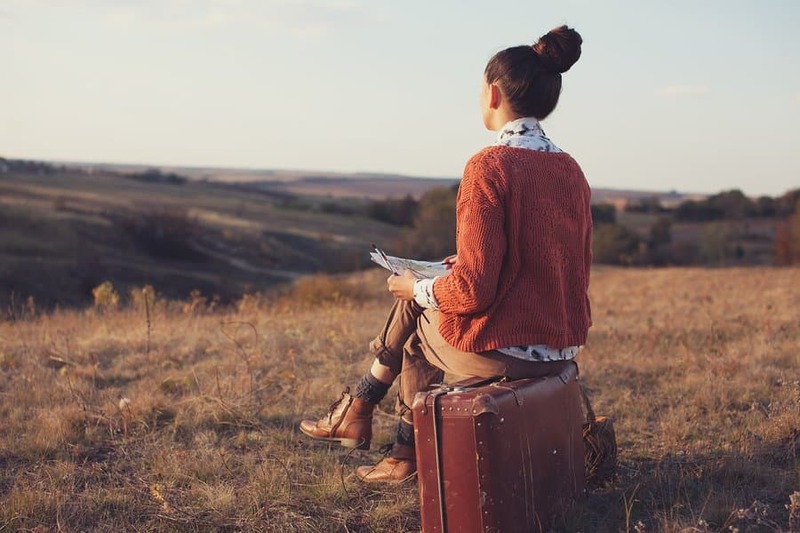 According to Art Therapy: Journal of the American Art Therapy Association, clients can use artistic activities to uncover the feelings of guilt, unmanageability, or shame that led them to rehab. For instance, a process known as incident drawings allows clients to illustrate the experiences of feeling self-destructive or out of control, which can lead them to seek healing through a higher power. Therapists often use fluid media, like paint, to help clients experience the sensation of being out of control, which in turn helps them admit their need for sobriety. Art therapy highlights the role of creative activity as a form of nonverbal communication. Language is not always the most effective way to convey the emotions that are uncovered in the recovery process. Art therapy can act as a powerful complement to traditional talk therapy by giving clients an alternative way to describe and communicate their feelings. Once these feelings have been released, art provides a visible, tangible object that can be discussed with the therapist and with peers in a group setting. Throughout the course of a recovery program, the images that clients choose and the feelings that they express may change. Clients who are more advanced in the program may use art to depict the process of transformation that occurs in recovery. After illustrating feelings of shame or guilt, they may feel compelled to express the joy of being released from addiction. Art therapy sessions are integrated into the client’s schedule of recovery activities at a residential treatment program. Depending on the structure of these sessions, clients may either create art pieces independently or work collaboratively on a single project or design. The sessions are facilitated by an art therapist, a professional trained in using art as a medium for recovery and healing. The art therapist guides clients in exploring the underlying emotions, experiences, or memories that arise during the creative process. In order to effectively lead an art therapy session, the therapist should have at least a master’s degree in therapy or counseling, as well as specialized training in this treatment modality. Many art therapists also hold licensure in social work, therapy, or family and marriage counseling. Standards of practice are established by the American Art Therapy Association, a national organization that promotes knowledge of the field and provides educational resources for therapists and the general public. 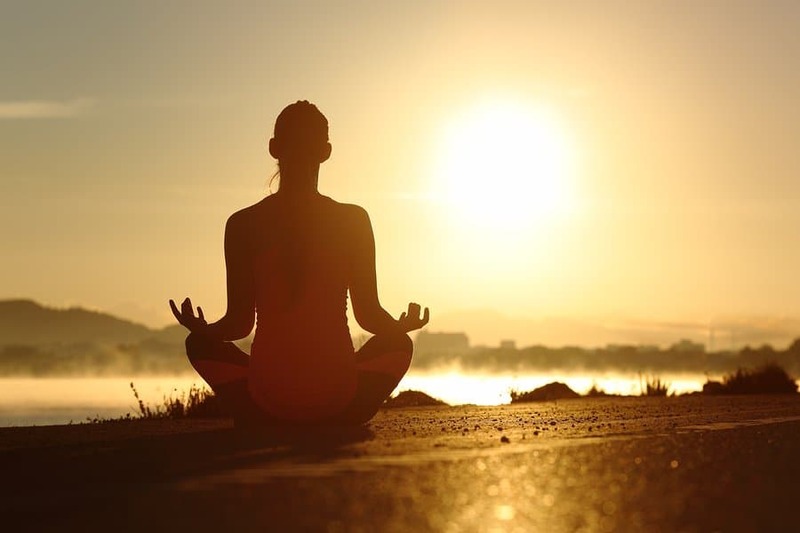 To supplement the role of art, music, or fitness therapies, a comprehensive recovery program will offer services that address the whole person, such as recreational outings, nutritional counseling, and activities that foster spiritual growth. When searching for a recovery program, look for a facility that is open to the integration of cognitive therapies, behavioral modification, and motivational counseling with expressive and experiential modalities. American Art Therapy Association (AATA): This national organization is the authoritative resource in this field, providing educational information for the public and providers, professional certification for art therapists, and support services using the medium of art. Artists for Trauma: Through the efforts of artists who volunteer their time and resources, Artists for Trauma helps civilians and members of the military overcome the effects of trauma through the healing mechanisms of creative expression. Artists for Trauma provides therapeutic sessions on an individual or group basis to individuals seeking recovery from devastating or life-threatening experiences. International Expressive Arts Therapy Association (IEATA): This charitable organization advocates and promotes the use of art as a healing modality around the world. IEATA uses the expressive arts to effect change on a personal and community level. It also establishes standards of practice for the field of art therapy. National Coalition of Creative Arts Therapies Associations (NCCATA): This group is an association of organizations committed to the advancement of art as a therapeutic modality. NCCATA supports professional therapists who are using the arts — including the visual arts, dancing, music, poetry, and other expressive modalities — to promote healing, foster communication, and restore mental health. Trauma-Informed Practices and Expressive Arts Therapy Institute & Learning Center: This institute is dedicated to teaching therapists and other professionals the practice of art therapy as a way to overcome the effects of trauma. Based on the treatment practice known as trauma-informed art therapy, the Institute offers live and online training courses, a certification program, and other valuable resources for mental health workers and graduate students.